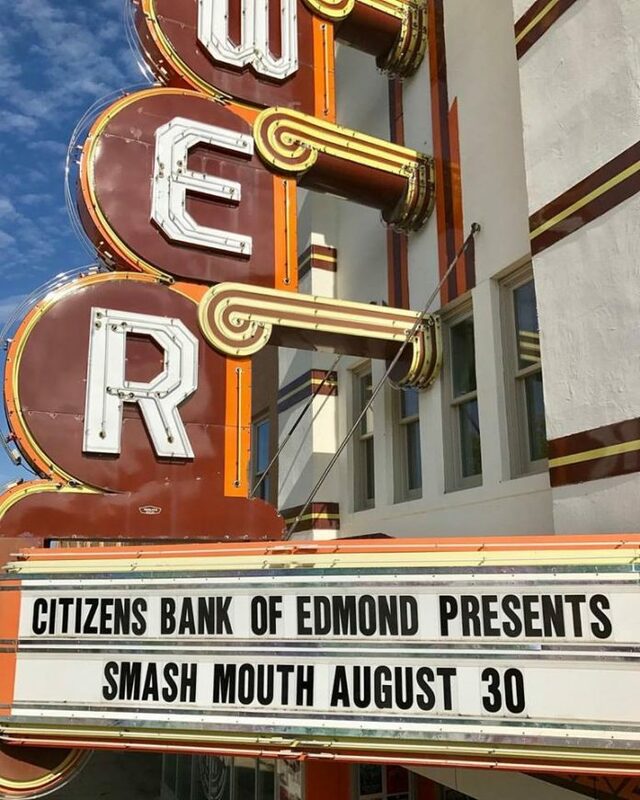 Around Edmond: Citizen’s Bank of Edmond Presents Smash Mouth at Tower Theater! 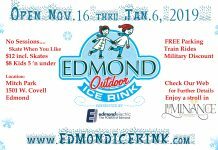 Edmond Chamber Ribbon Cuttings. #CBEFightsFraud. Hi everyone, hopefully all of you had a phenomenal weekend. 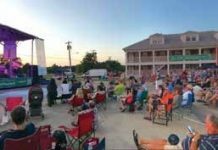 There are some great events coming up this week, and one of my favorite collaborations this year Metro wide is that of Citizen’s Bank of Edmond presenting musical talent at the all new Tower Theater. This collaboration is full of genuine soul and the desire to really bring the theater to its fullest potential, along with bringing amazing talent for us to enjoy. 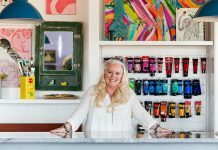 I cannot think of anyone who is better suited to help drive the energy than Steven Tyler, after reading about his desire for the theater and his vision, and Jill Castilla is the perfect partner to help drive this energy and ambition. 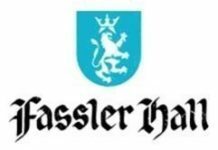 And, if you are in need of picking up tickets for upcoming shows, you now have an Edmond hook up for Tower Theater tickets at the Downtown Edmond branch of Citizen’s Bank of Edmond at 1st & Broadway, and they are open 7 am to 7 pm. 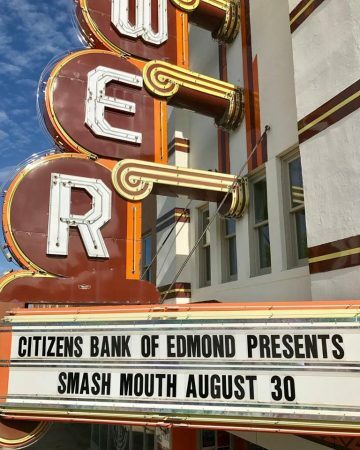 So, on that note, Citizen’s Bank of Edmond is presenting Smash Mouth on Wednesday August 30 at 7:30 pm! I just love this band in their message is authentic, real and mostly just fun, no matter if it’s 2001 or 2017. 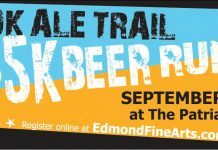 Hoping to see a big crowd! 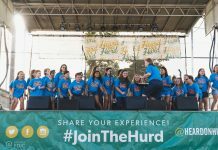 Also, don’t forget to check out the EA Events Calendar on the right sidebar or click Events in the menu for some of my favorite events happening around the Metro! 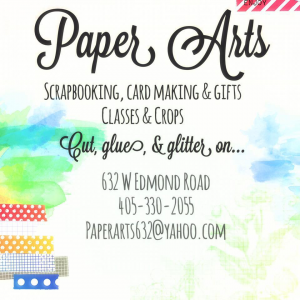 There is no one more excited about new businesses opening around Edmond than me! I love that so many are deciding to join the Edmond Chamber of Commerce, as Sherry Jordan is bringing it! 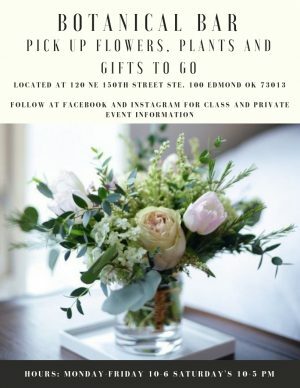 Here are some of the businesses that have recently had ribbon cuttings, and I hope you’ll consider stopping by and supporting them! 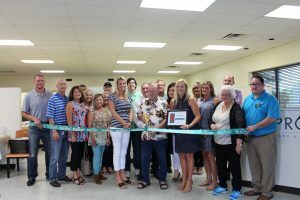 Project 66 held a ribbon cutting on August 15th to celebrate their 7-year anniversary. Project 66 is a non-profit, faith-based ministry providing food to families of need in Edmond, Arcadia, and surrounding communities. This food and resource center has expanded dramatically in the last few years and plan to keep doing so. Donations, financial contributions, and volunteers are always welcome! 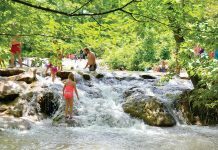 The more families reached the better! To learn more, visit www.project66.org. 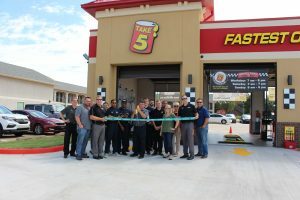 Take 5 Oil Change held a ribbon cutting on August 18th to celebrate the grand opening of their new location, 3024 S. Broadway. Take 5 Oil Change, changing the way you change your oil with high standards for customer service and employee training as our mission! 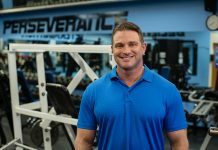 Stop by and experience it today! 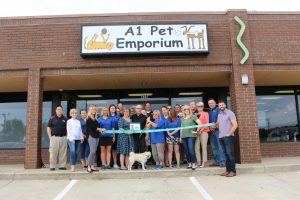 A1 Pet Emporium was excited to hold a ribbon cutting on August 18th to celebrate their 3-year anniversary. 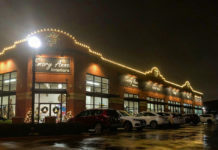 The mission of A1 pet Emporium is first, to educate consumers on healthy and natural foods for pets. None of the A1 pet foods contain corn, wheat, by-products, soy, or artificial coloring. 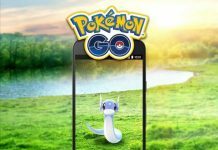 The second part of their mission is to bring awareness to local pet rescue organizations that help find permanent homes for homeless pets in the community. 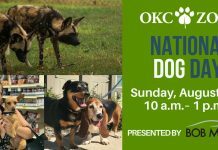 A1 has adoption events in practically every weekend! If you are interested in knowing more about your pet’s health, visit the store or check A1 out on line at www.a1petemporium.com. 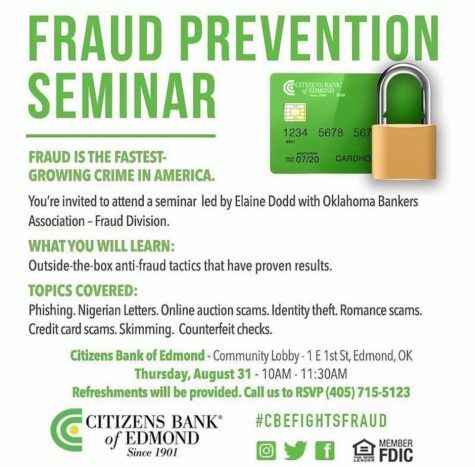 And one more event happening this week on Thursday from 10 am to 11:30 am is the Citizen’s Bank of Edmond Fraud Prevention seminar led by Elaine Dodd with the Oklahoma Bankers Association Fraud Division happening. Anyone who knows me, knows the fraud I have had to defend myself against for the last 2 1/2 years, against a major corporation who forced me to sell my home 6 months after they had changed/increased my material terms in my note, with no disclosure or no notice or mention of such a increase in interest rate in my mortgage statements – and then destroyed my credit scores due to false negative information. This seminar won’t be taking on such a hefty topic, however will be beneficial to all who attend and will cover topics such as Phishing, Nigerian Letters, Online Auction Scams, Identity Theft, Romance Scams, Credit Card Scams, Skimming and Counterfeit checks. Elaine Dodd will provide everyone who attends with outiside of the box anti fraud tactics that have proven results. 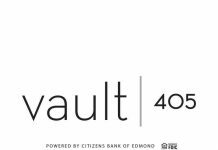 The seminar will be held at Citizen’s Bank of Edmond at 1st Street and Broadway in their all new community lobby, refreshments will be served and you can call to RSVP at 405-715-5123. That’s it for today! For amazing new arrivals at our sponsors stores, be sure to follow along with the rest of the community here at Instagram or Facebook! 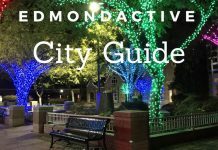 Thanks again for visiting and reading, stop by again to see what’s happening around Edmond! 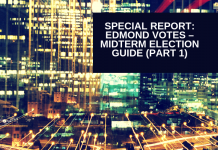 Previous articleAround Edmond: Edmond Shines wants your audition videos! 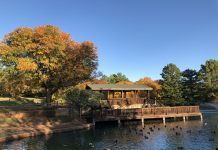 Farmers Market starts Fall schedule this weekend! Next articleAround Edmond: Auditions Open for Edmond Shines. Finding Joy. 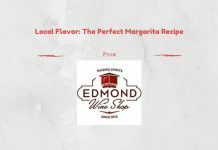 Shop Edmond News.